We need volunteers for our Provincial Park Trail Rehabilitation Project. 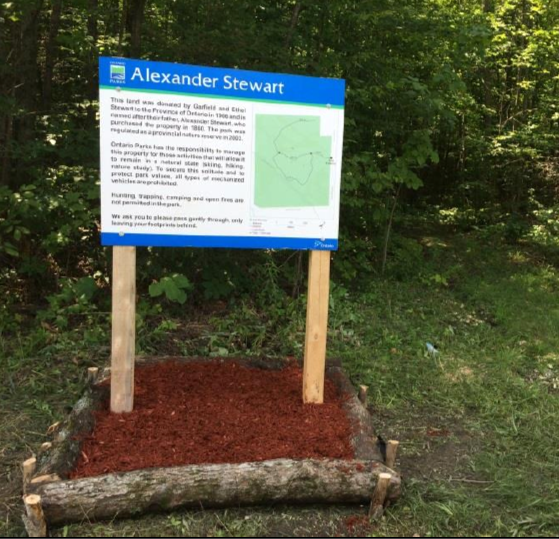 Friday, July 27, starting at 9:00 am, we need volunteers to help us rehabilitate the trails in our provincial park (Alexander Stewart Provincial Park), at Maple Bend Road and Russett Drive. If possible, bring wheelbarrows, shovels, etc. Ontario Parks is overseeing the volunteer effort, therefore you will be required to sign a volunteer form for Ontario Parks. A VERY BIG Thank you to Elm Enterprises for donating two tandem loads of aggregate, which will be used to tackle the low spots and to the McNab/Braeside Fire Department for the donation of 1000 Cedar logs!!! !